A healthy diet and physical exercise are necessary factors for achieving a well-toned body. Apart from an attractive look, it offers a smooth body contour. However, sometimes, exercise fails to provide desired results. This is usually common in people who have loose, sagging skin, and uneven contours. Several reasons such as age, pregnancy, sun damage and significant weight fluctuations along with genetic factors, lead to poor tissue elasticity. This, in turn, causes sagging of the abdomen, thighs, buttocks, and upper arms. 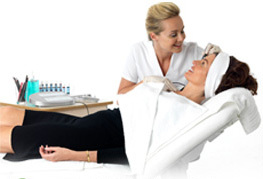 A body lift surgery exists to help you achieve a firmer, youthful body contour. The surgery focuses to remove the sagging fat and skin. As a result, an improved shape and tone of the underlying tissue supporting fat and skin, is attained through body lift procedure. Nowadays, a new painless laser body-contouring procedure called Zerona, is high in demand. Lipolaser, is an another method, in which the fat cells in the body are shrunk. The body areas which depict unwanted fats like arms, thighs, abdomen, neck, bra fat and chest, are exclusively treated with laser body contouring procedures. A lower body lift (belt lipectomy) focuses on the tummy, buttocks, thighs, and back. On the other hand, an upper body contouring involves the chest, breasts and middle back areas. If lower body lift is performed in conjunction with an upper body lift, the treatment is referred to as a total body lift. In stomach lift or abdominoplasty, the muscles are tightened and excess skin and fat from the stomach is removed. Apart from strengthening the abdominal muscles, stomach lift exercises help to shape the muscles. However, belly fat cannot be reduced immediately with stomach lift exercises. In men, a tummy tuck can be used to reduce a protruding belly. It involves excess skin removal and tightening of the abdominal muscles. The tummy tuck procedure intends to improve the abdominal appearance. Being a safe and highly successful procedure, it creates a flatter abdominal area as well as enhances the confidence and self-image. In male abdominoplasty, the stubborn fat which is difficult to shift with exercise or diet, can be easily removed. Arm Lift (brachioplasty): In arm lift surgery, an incision is made in an inconspicuous location along two areas: the armpit and the inside arm surface from the elbow to the armpit. Laser liposuction is used to remove excess fat. The excess skin is cut down while the remaining skin is sutured together. Inner Thigh Lift (medial thighplasty): In most cases during thigh lift surgery, an incision is made in the middle of the thigh and the groin. This incision is used to remove excess fat and hanging skin from the inner thigh region. Liposuction procedure is used by the surgeon to remove excess fat. Before suturing the incision, the fat is trimmed and the skin is tightened. Body lift surgery does not exclusively involves removal of excess fat. Liposuction, alone is capable of removing excess fat deposits, and thereby helps to conform to a new body shape. In case of poor skin elasticity, a combination of liposuction and body contouring techniques may be recommended. Possible risks of body lift surgery: Infection, poor wound healing, hematoma, skin loss, fluid accumulation, blood clots, skin discoloration or prolonged swelling, recurrent skin looseness, unfavorable scarring, anesthesia risks, persistent pain, fat necrosis, numbness, cardiac and pulmonary complications. There exists a wide variation in the cost of body lift surgery. Three primary fees are included in the cost of a body lift: the surgeon’s fee, anesthesia fee and the hospital facility fee. Based on the extent of the procedure, the surgeon’s fee and the hospital fee may vary.